Today I had a really great day eating cleanly! After doing a huge fruit and vegetable shop yesterday I was really looking forward to experimenting and building on recipes I had already tried. 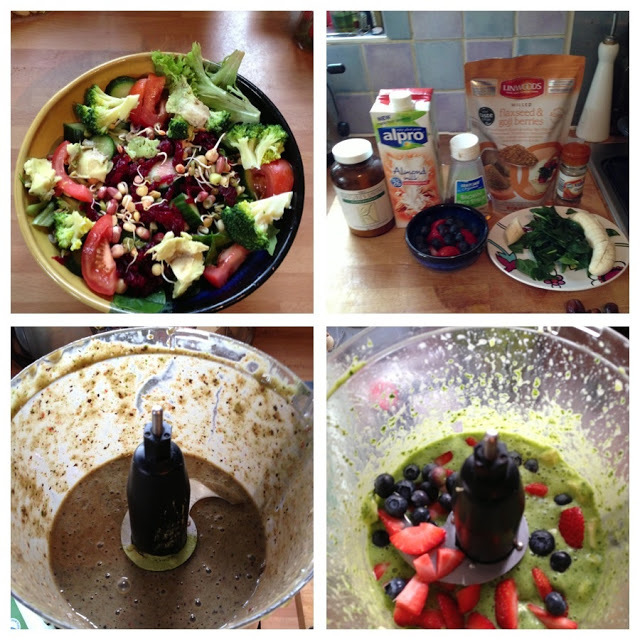 Both the salad and the smoothie have a gizzilion different things in them which makes for a really filling meal and also means you wont get bored of any one taste.